B.B. King‘s now annual festival package is scheduled to hit the Molson Amphitheatre on September 3rd. The only other info on the package that we know at press time is that Jimmy Vaughan is part of it. (all at 8:00 AM & 8:00 PM and all done at Cafe Campus in Montreal). Paul Northcott reports the birth of a new blues society in Ontario, the Huronia Blues and Jazz Society. For further info 705-528-0607 fax 795 528-0615 northcot@csolde.net. The Mohawk the Merrier: William “Little Willie” Rodwell tells us of a blues radio show called the Thursday Night Blues Revue, on the CHMR Mohawk Cable FM from 6 pm to 9 pm. Willie claims to have a monster cult following of 3 whole people (including him) and maybe even more. Seriously, the station is going from cable to fully FM in a few months and will be changing their call letters to CIOI 101.5 FM. We’ll keep you posted on this one. 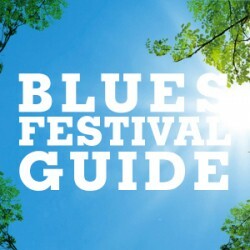 Ottawa Bluesfest: Ottawa’s annual blues festival will be held in Confederation Park this year on July 4th, 5th & 6th. Announced performers are: Roomful of Blues, Luther Allison, Junior Wells, Little Feat, Long John Hunter and Anson Funderburgh & The Rockets featuring Sam Myers. For info on tickets call (613) 233-8798 or bluesfest@cyberus.ca. Their website is www.ottawa-bluesfest.ca. Sat. Oct 11- Otis Taylor, Biersdorf & Kolbe, Lane Wilkins, Doug MacLeod, Steve James, Anson Funderburgh & Sam Myers, John Weston, Robert Lockwood Jr. Sat. Oct 11- Dianne Price, North Miss. All Stars, Clarence Spady, Larry Garner, Big Jack Johnson. Blues on the Hudson: The newly formed Hudson Valley Blues Society in Newburgh, New York would like to announce their first event to be held on May 25th from Noon – 8pm. The First Annual Hudson Valley Blues Festival-A Benefit for the Advancement of the Blues in the Hudson Valley – featuring Little Sammy Davis and Midnite Slim, recently nominated for the W.C. Handy Comeback Artist of the Year. Sammy received the 1996 Living Blues Critics Award for the same honor. Directions: Interstate Route 84 to Exit 8, Route 52, Newburgh Head west on Route 52, 3.2 miles. Hard Day Cafe is on your right. For more information about the festival visit www.hardday.com or call toll free 1-888-269-3350. John Brim, Charles Wilson, Eric Noden, Sista Monica, Shirley King, Jessie Tolbert, Harmonica Hinds, Dave Myers, Roy Hytower. Otha Turner, Fernando Jones, Katherine Davis, Erwin Helfer, Pat Soul, Honeyboy Edwards, String Band Tradition w. Sid Selvidge and Howard Armstrong. Little Whitt & Big Bo, Homesick James, Tommy McCracken, Spooner Oldham & Dan Penn, Anthony Palmer, Zoom, Robert Ealey & UP Wilson. Otha Turner, Henry Qualls & Hash Brown, Memphis Minnie Tribute with her niece Del Rey, Rory Block & Debbie Davies, Sunnyland Slim Tribute, Diamond Jim Greene. More info is available at the City of Chicago’s web site: http://www.ci.chi.il.us/wm/specialevents. Maxwell Street Repreive: In other Chicago news, leaders of the Maxwell Street Historic Preservation Coalition met with UIC Chancellor David Broski and his staff on March 30, and received assurances that their preservation proposals will be considered in the development plans. They were further assured that the university will refrain from purchasing or demolishing any more property in the area until a plan has been adopted, thus averting the demolition of four buildings scheduled for April 15. But because UIC did not commit itself to the Coalition’s proposal, Maxwell Street remains in terminal danger. In July of this year, UIC will name a master developer. Plans will not be finalized for some time. Meanwhile, the neglected buildings and other infrastructure continue to deteriorate. Without official Historic District status, UIC can resume its demolition plans at any time. That’s why they continue to need your support. Go to the Maxwell Street Historic Preservation Coalition website at http://www.openair/maxwell/preserve.html. There was merit in the fight to keep Maxwell Street the way it was; a neighborhood of and for low income people, but that fight was lost three years ago. That isn’t the issue now. The issue now is preservation of the bricks, mortar, concrete and asphalt, the very literal, physical existence of Maxwell Street. The street now extends only one short block West of Halsted. Everything else West of Halsted is now UIC ball fields. That part of Maxwell Street has been completely obliterated. The proposal now is to retain and preserve the remainder of Maxwell Street itself, restore the remaining buildings, and create a historic attraction with a mixture of entertainment, dining, and other retail, along with interpretive attractions (museums, etc.) dedicated to the blues and to Maxwell Street’s long-time role as a “port” for arriving immigrants, including internal African-American migrants from the South. It will not BE old Maxwell Street. It will be a MONUMENT to old Maxwell Street. Chicago is known throughout the world as the birthplace of the electrified blues, yet there is no permanent monument to this important distinction anywhere in this city. Where better than Maxwell Street? The model is Beale Street in Memphis, which has been very successful. Chicago is a relatively young city and hasn’t been too sensitive about preserving its heritage. Maxwell Street has important messages for the future and deserves to be preserved. Our friends at the Ottawa Blues Society now have a web site. Check it out at http://home.istar.ca/~m_hall/OBS.html. The R&B Foundation Newsletter (V.6/April 1997) now has a web page at http://www.netnoir.com/spotlight/bmm/randb.html. The Rhythm and Blues Foundation, an independent non-profit organization founded in 1988, fosters wider recognition, financial support, and historical and cultural preservation of rhythm and blues music through the various grants and programs in support of artists of the 40’s, 50’s and 60’s. In conjunction with the Smithsonian Institution’s National Museum of American History in Washington, D.C., and other arts, academic and recording industry organizations and individuals, the Foundation is working to develop the History of Rhythm and Blues Collection. The Collection, in documenting rhythm and blues music, will preserve both the music and its socio-political and cultural impact. Foundation grants and programs currently provide in excess of $250,000 per year to rhythm and blues artists. The Rhythm and Blues Foundation fulfills its mission in three important ways: The Pioneer Awards Program, the Doc Pomus Financial Assistance Program, and the Rhythm and Blues Archive Project. Just wanted to drop a note to tell you how much I enjoyed my visit to your web site. The HOOSIER HOT SAUCE COMPANY (www.hoosierhotsauce.com) has long been a strong supporter of the blues. We are corporate sponsers of The Blues Society of Indiana and we make it a point to support this wonderful musical genre whenever and wherever we can. Visiting your web site (and others) helps to reinforce my feeling that the blues reaches to the hearts of people everywhere. Keep up the good work you are doing and let us know if there is anything that HOOSIER HOT SAUCE can do to help. If nothing else, we might share links to our web pages. Thanks again for providing another fine place for people to visit and learn more about the blues. 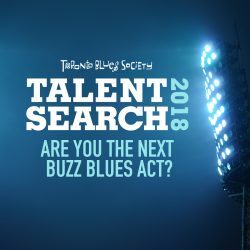 I would like to take this opportunity to express my endless and sincere thanks to all the wonderfully supportive and generally FINE folks at the Toronto Blues Society. Especially Barbara Isherwood, Derek Andrews, Lily Sazz and Gary Kendall, all of which have gone out of their way to exhibit their support and kindness. After winning the New Blues Talent Search last year, many great opportunities have been presented to myself and The ROBIN BANK$ Blues Band. Perhaps coupled with our years of dedication and hard work, these events will help turn our gigging career into a recording career. I would also like to thank the Toronto Blues Community for their continual enthusiastic support. We always have a blast performing for you and look forward to seeing y’all this summer! We have many fond memories of the events that transpired in the past year and wish lots of luck to this year’s New Blues Talent. 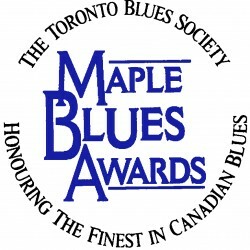 We intend to continue our membership and our friendship with the Toronto Blues Society. We feel very strongly about our love for the Blues. I sense that the same genuine love lives at the Toronto Blues Society. It’s a good thang!